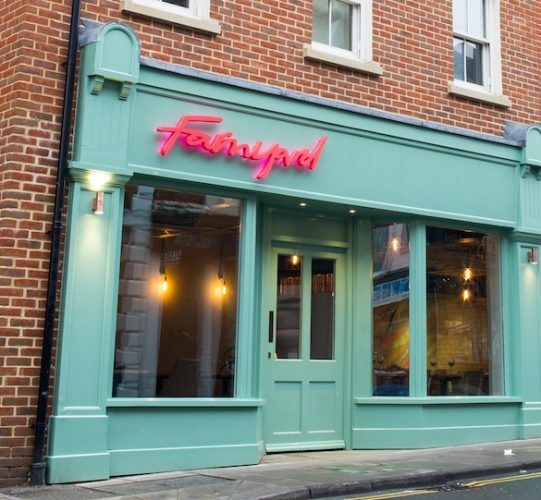 When a popular restaurant takes on a new identity it can be something of a risk – how long will it take before the new name sinks in (does anyone else still call a Snickers bar a Marathon? 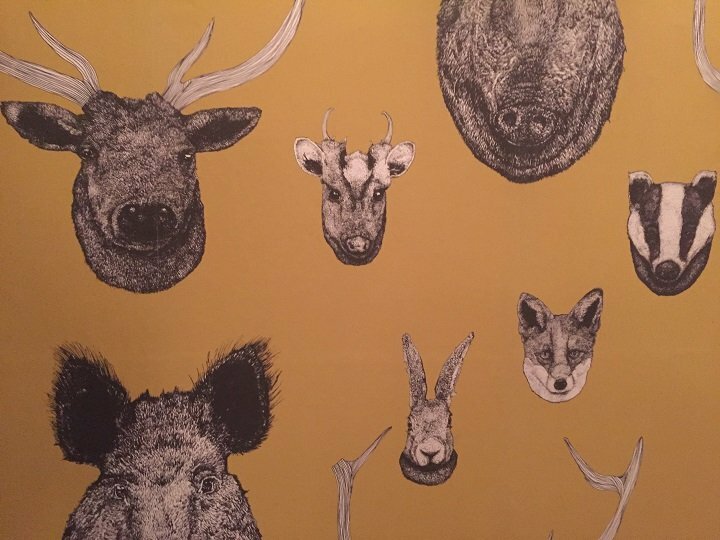 ), will the new décor be too try-hard or the menu just as tasty? 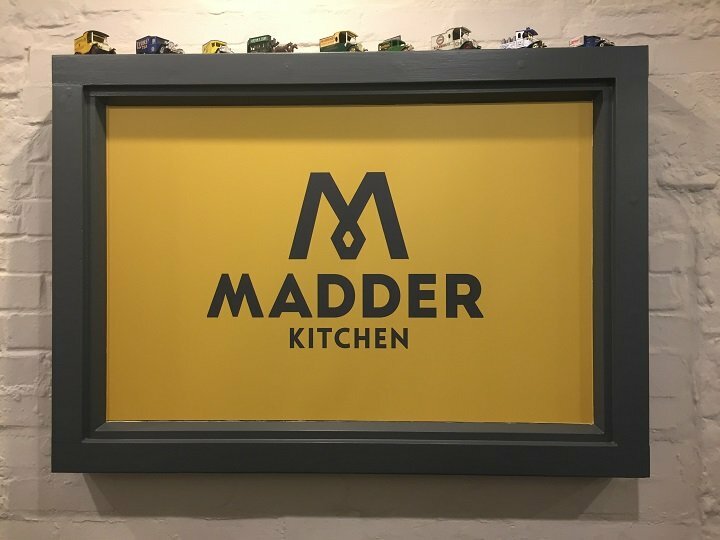 When the Maddermarket Kitchen decided to drop the word ‘Market’ to become Madder Kitchen, it wasn’t just about shortening the name. 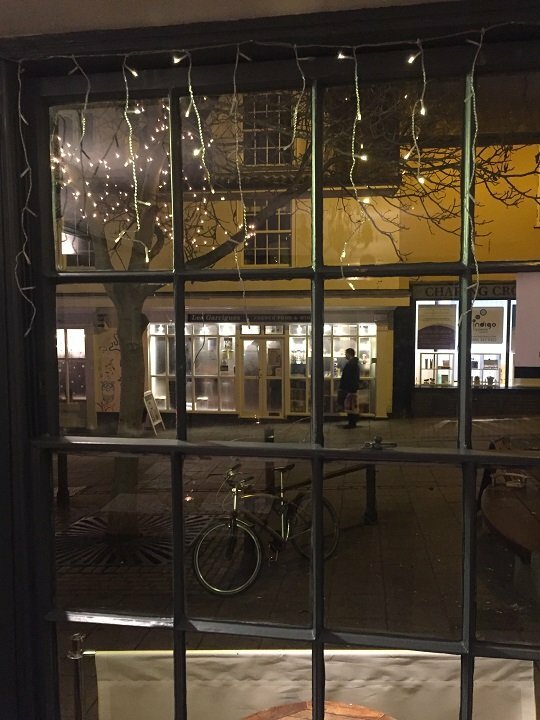 Long associated with The Maddermarket Theatre next door, it was time to loosen the shackles and go it alone, with a new logo; a new sign; a tarted-up website; and a new, healthy menu created using local ingredients. Re-opening last July after a period of reflection and refurbishment, a fresh palette of cheery yellow and slate blue-grey was used to paint the outside and create the new logo, while the inside was adorned with funky wallpaper, geometric pattern cuckoo clocks and art created by local talent. 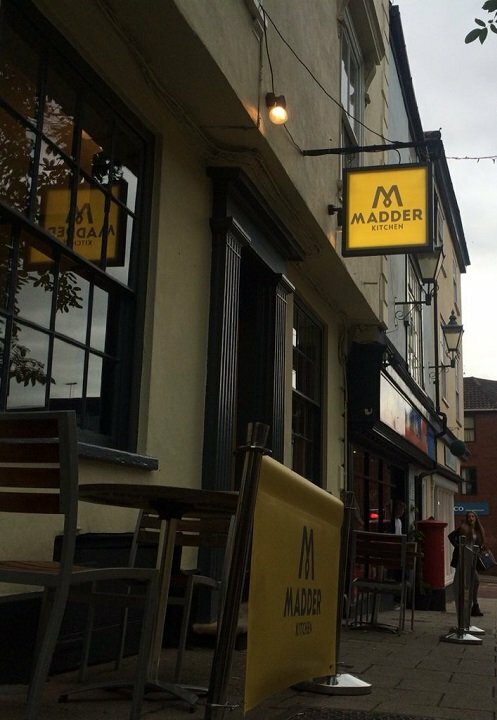 Visitors to the Madder Kitchen can also now order their meals to takeaway or have their food brought to their door via Deliveroo. Clearly the fresh new look has instigated some fresh thinking. 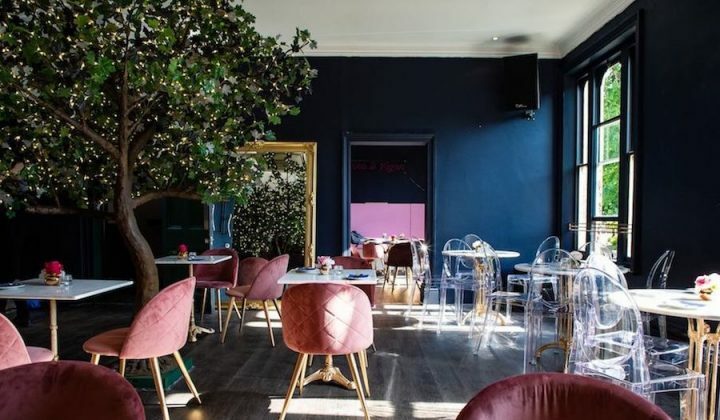 With two dining rooms – each offering views of the oh-so quaint St John Maddermarket Street on which it sits – open fire places, wood floors and Danish-style furniture, Madder Kitchen is a wonderful paradox of cosy and cool; classic and contemporary. 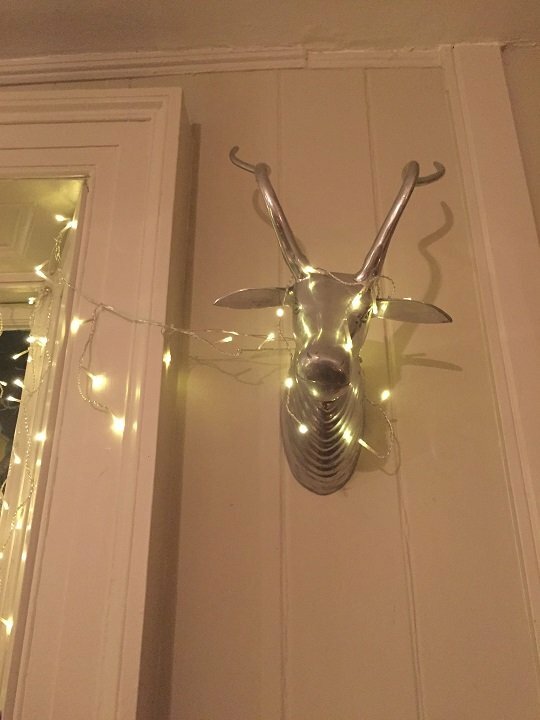 It’s just before Christmas on my visit and the whole place is charmingly awash with fairy lights – hanging down from original sash window frames and wrapped around faux stag heads on the walls. 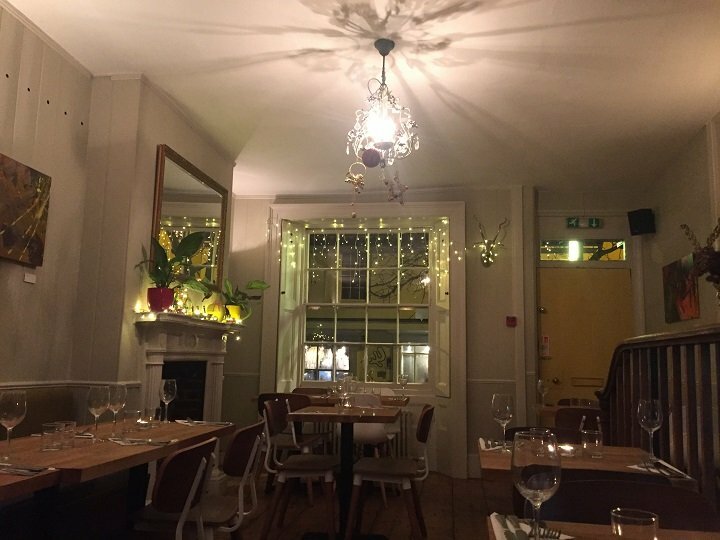 The new three-course fixed menu changes weekly or bi-weekly according to what’s in season and is filled with hearty British classics. 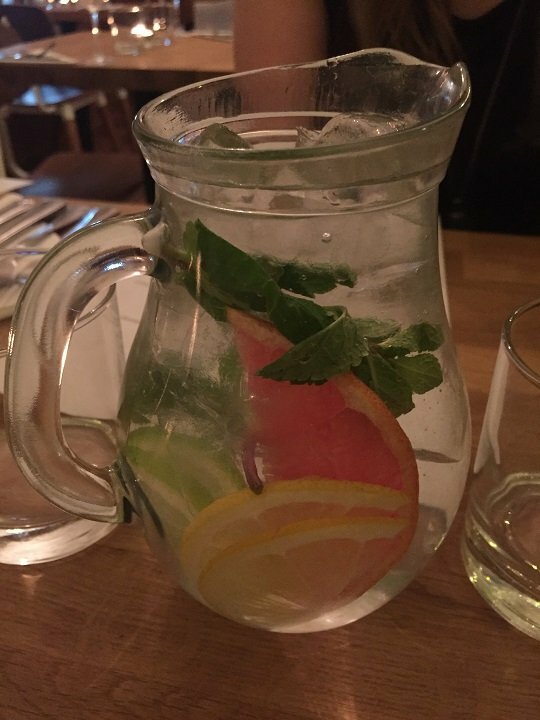 Our charming waiter brings a jug of water flavoured with pink grapefruit, lemon and mint (as refreshing as cleaning your teeth) and takes our drink orders. 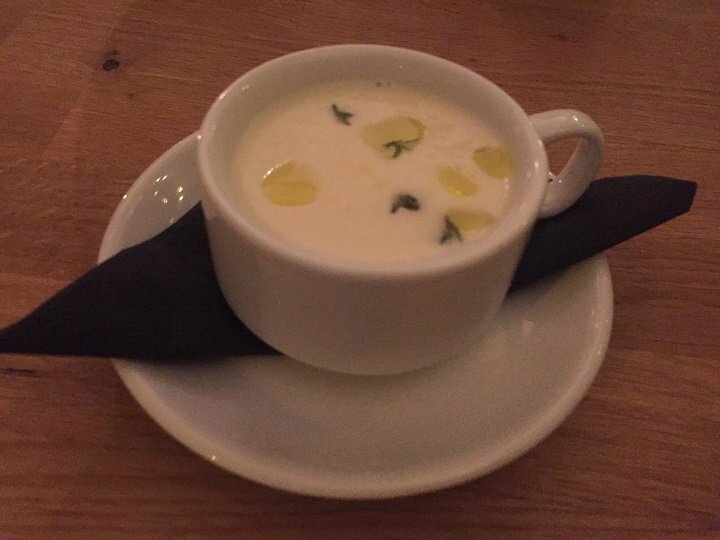 While surveying the short but delicious-sounding menu (which is apparently influenced by the Head Chef’s travels around the world), a pre-starter of creamy cauliflower soup with truffle oil arrives. It’s rich, warm and salty, and the perfect start to a meal. With my dining companion Ali and I both fancying the same starter, we do the ever-so polite “no… no you have the [insert dish name] and I’ll have the [insider dish name],” dance before finally deciding on citrus cured loch Duart salmon with avocado puree, pink grapefruit, Wasabi mayonnaise and Shiso cress (for her) and homemade butternut squash & lemon soup with artisan roll and homemade butter (for me). When Ali’s salmon arrives, I wish I’d fought harder (she is Scottish so I had to concede) – the plate looking so pretty, I take more photos than I need. 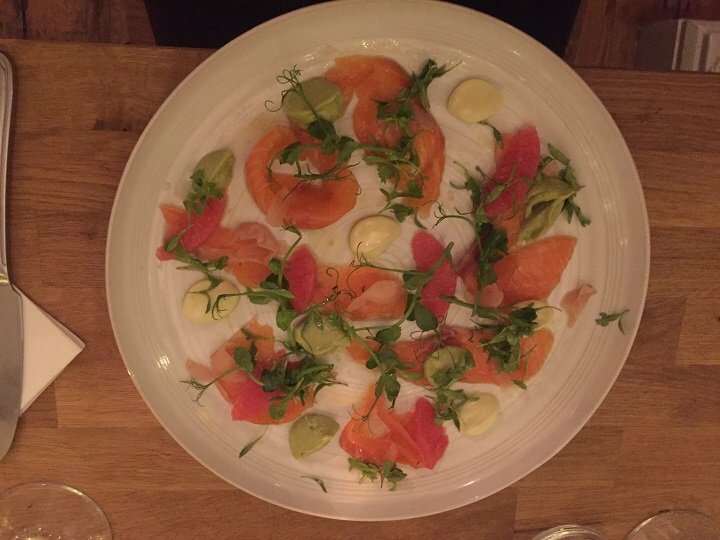 The salmon with the pink grapefruit is – she tells me – really refreshing while the Wasabi mayonnaise comes from nowhere to give a welcome kick to the palette. 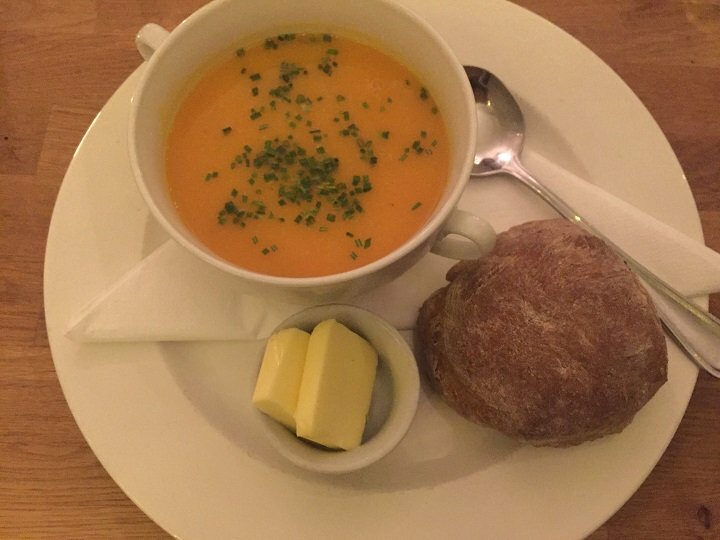 My soup is rich and warming with a sharp aftertaste of lemon and thyme; the crunchy bread perfect for scooping out the gloopy loveliness without the need for a spoon (I’m a classy one me!). Onto mains, and food envy once again ensues when Ali’s venison dish is served. 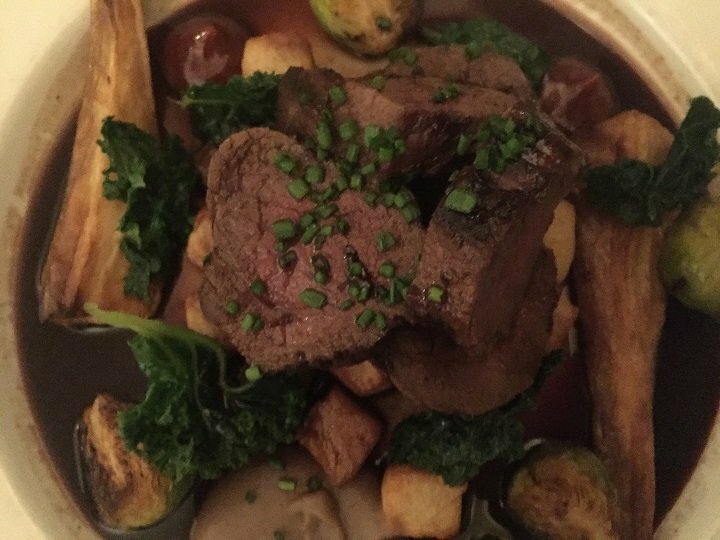 A modern take on a roast dinner, delicate pieces of pink venison are accompanied by parsnips, sprouts, duck fat roast Parmentier potatoes, chesnut puree and a sauce so that is so damn rich and sticky I could lick it straight off the plate – if I wasn’t already being beaten to it. 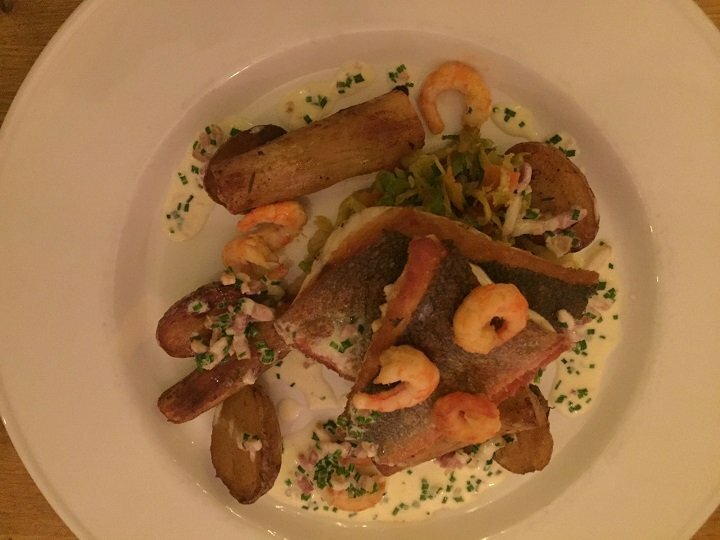 My pan-fried fillet of sea bass is accompanied by roast salsify, savoy cabbage, smoked prawns, confit potatoes and bacon sauce. I wouldn’t usually put bacon and fish on the same plate, but they balance each other out perfectly – think light and fluffy meets smoky and salty. The tiny smoked prawns are also a delight. 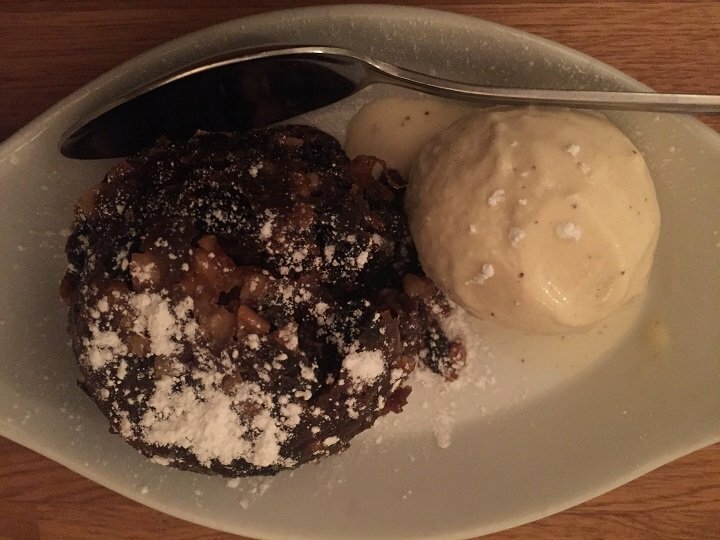 Christmas pudding isn’t on my our menu but when the waiter tells me that it has been made for a Christmas party taking place in the other room and that I can have a piece, I jump at the chance. Not only that, but he is happy to serve it with BOTH double cream and ice cream (my mum would balk at such gluttony). It’s a sticky, sweet concoction that’s simply to die for. 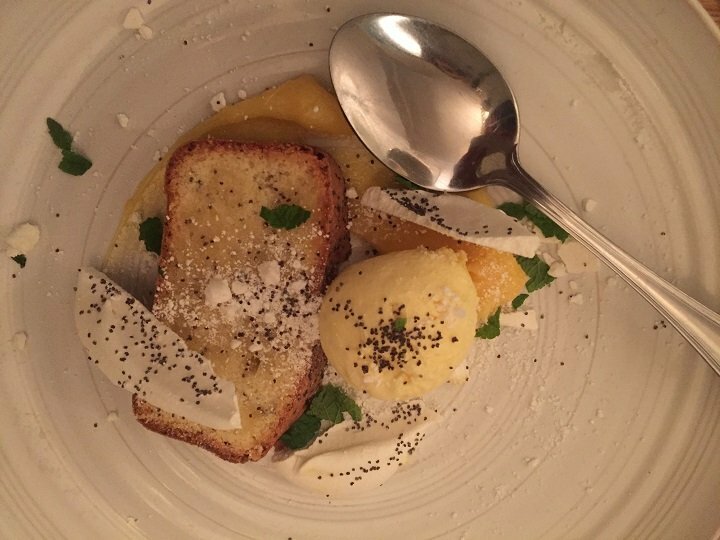 The lemon and poppyseed cake with lemon cured, lemon & mascarpone ice-cream, poppy seed Tuile and Italian meringue that arrives for Ali has me leaning unceremoniously over the table, spoon firmly in hand. It’s light and tarty and creamy and crunchy all at once. Good for: the pre-theatre/post-theatre crowd; couples looking for a romantic spot on St John Maddermarket Street; groups of diners. 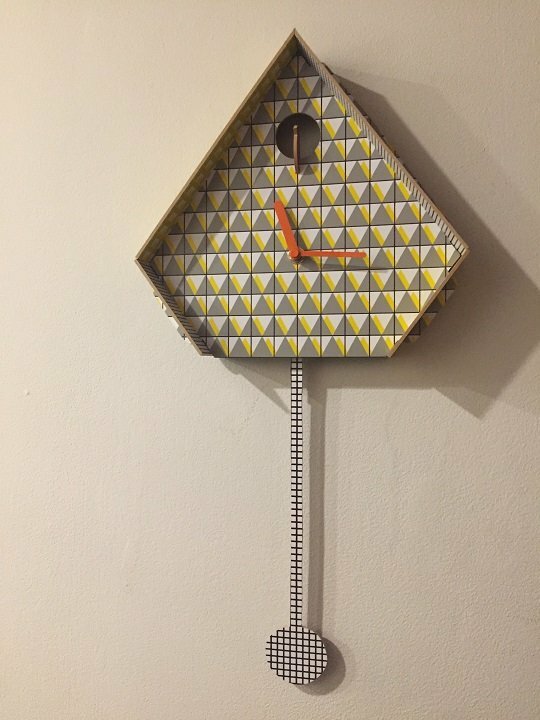 Not for: families with young children looking for an evening meal. 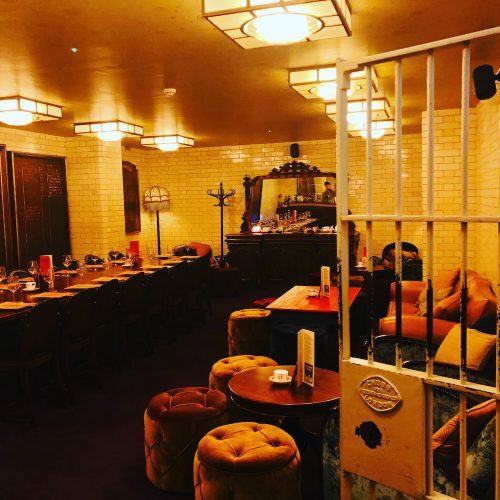 £-££: reasonable – one course: £16; two courses: £23; three courses: £30.